On a hilltop called Pots and Pans above the Saddleworth town of Greenfield, lives a friendly Giant called Gregory. Each night, Gregory and his friends have great fun and adventures in the hills and reservoirs. As you wake up in the morning, Gregory and his friends lay down below the grass and limestone and go to sleep, dreaming of their next adventures. When you look at the hilltops around you, look carefully, as there may be a giant sleeping there. Walking through this landscape of limestone outcrops, it’s easy to see how Chris Horrocks was inspired to create this quirky fun character whilst spending time at Dovestone Reservoir with his nephews, nieces, son and daughter. Over a series of tales Chris introduces us to Gregory and his friends through their adventures together. With the delightful illustrations of Jake Tynan, both children and parents will together feel the warmth of these stories. A peaceful, reassuring, magical experience waits, with underlying themes of friendship and teamwork, as the Giants and animals overcome each obstacle together. 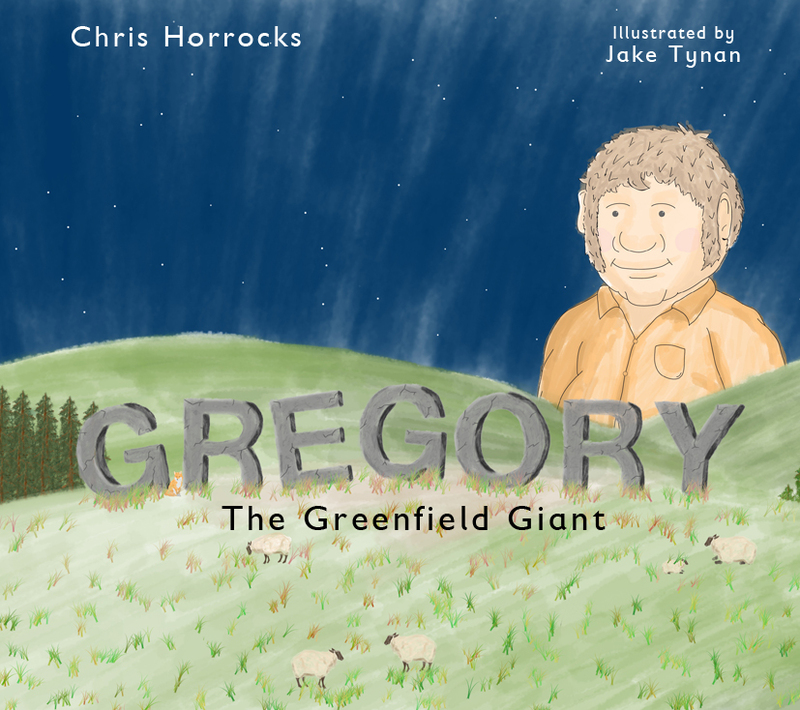 Combining mythical fantasy and the physical geography of this rugged moorland, the Gregory stories carry a message of ‘learn as you live’ and ‘treat others as you expect to be treated’ with this larger than life character enjoying life and friendships.